Dried tulip petals. 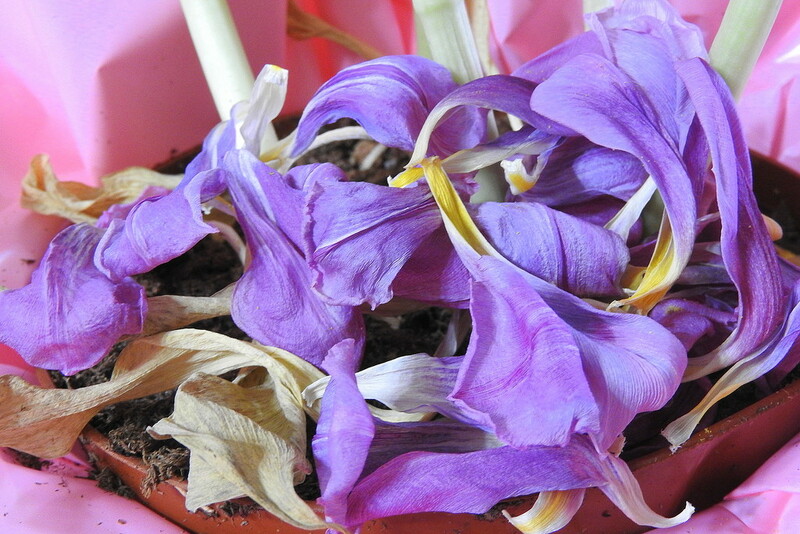 Funny that the pink petals dried and now look purple. It is interesting that they changed colors.